The modern lifestyle of people is a busy one. As such, it is quite common for people to throw their money away at faster food solutions. This is because you are usually way too tired to find a better alternative. 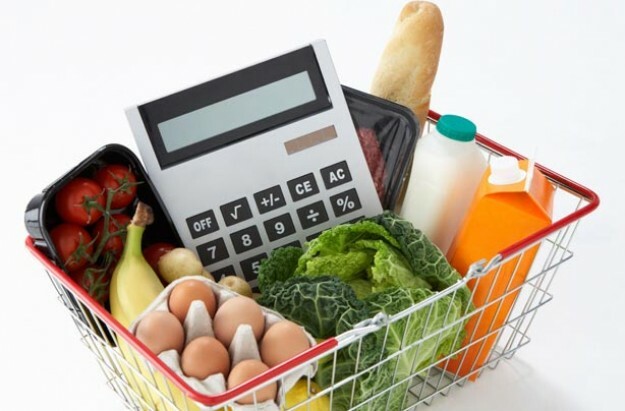 You may not know it, but maintaining a proper food budget is perhaps the easiest way of reducing your overall expenses. Also, food budget can also help you get more satisfaction out of everything you eat. It is a known fact that most people do not like to cook, which is why they turn to readymade and fast foods to satisfy their hunger. However, if you make some effort, as far as food budget is concerned, you will not only see good results in your finance, but also in your health. Mentioned below are a few tips that can help you manage the food budget of your entire family. Choosing a proper local store for your grocery shopping is essential, as far as maintaining food budget is concerned. You should try to opt for stores that offer and accept coupons every now and then. Most stores even provide loyalty rewards, so you should be aware of that as well. If you have coupons that can be redeemed at a local store, you should try to utilize it to the fullest before they get expired. If you shop for food items for an entire family on a regular basis, you can easily get rewarded through the loyalty programs that several stores offer. If a grocery store is near your home or if you pass one on your way to work, you can shop for meats and produce on the days you need. This is a great way to ensure that nothing is wasted if your dinner plans change. You should always look to purchase fresh food items like herbs and lettuces. You should plan your meals in a way that you can use these food items before they get spoiled. This way, you can minimize wastage and you don’t necessarily have to throw away food items at the end of a week. For prolonging the life of certain food items, you can keep them in water. Making a list of the food items might take up a bit of your time but is surely saves you a lot of time and effort at the store. To get a rough estimate of your food budget, you can take your monthly home pay and reduce it by your monthly bills and obligations. With the amount you have left, you need to prioritize the things. Food must always be a top priority and you can figure out your budget accordingly. To create a list, you need to start with things you absolutely need and check for their availability in local grocery stores. You can even purchase grocery from online websites like bigbasket and save further money using coupons if you need the item, but you should avoid buying a product just for using a coupon. You can even use discount fliers for making your decisions. You must always use calculator while creating and maintaining the list. It will help you keep track of your expenditure as you go. You must always start with essential items than move on to non-essential products that could fit in your budget. Leftovers are usually taken for granted, but if you plan and label them properly, these food items can save you lunch money. They may even serve as good snacks, as leftovers aren’t usually enough for an entire meal. While labeling your leftovers, you should date them as well so that you can eat them before they are wasted or before you go for next grocery shopping. If you are managing food budget, for an entire family, buying in bulk is an obviously better option. Not only does it ensure that the food lasts for a specific period of time, but bulk purchases can also provide you with savings. However, when you are buying in bulk, you need to be careful. The problem with bulk purchase is that bread and cereals might get stale and meat might get old if not consumed within time. So, you need to ensure freshness of food items by allotting proper freezer space and planning to consume the food items within a time period. While planning your meals, you can consider food items that are relatively inexpensive. For instance, cabbage is usually a cheap vegetable purchase, so you can consider it. Other food items like canned tomatoes and carrots are not only inexpensive, but also make for a healthy addition to your meals. Saving a little here and there can eventually result in huge savings, while still not compromising on the health factor. Regardless of your food budget, soda pop and dessert isn’t something that should be served at every family dinner. You should rather prioritize items that offer protein and nutrition. If you are able to implement these common tips, you will be able to extend your food budget and also maintain healthy eating. If you are able to meet your food budget, you can consider rewarding yourself and your family by going out to eat!